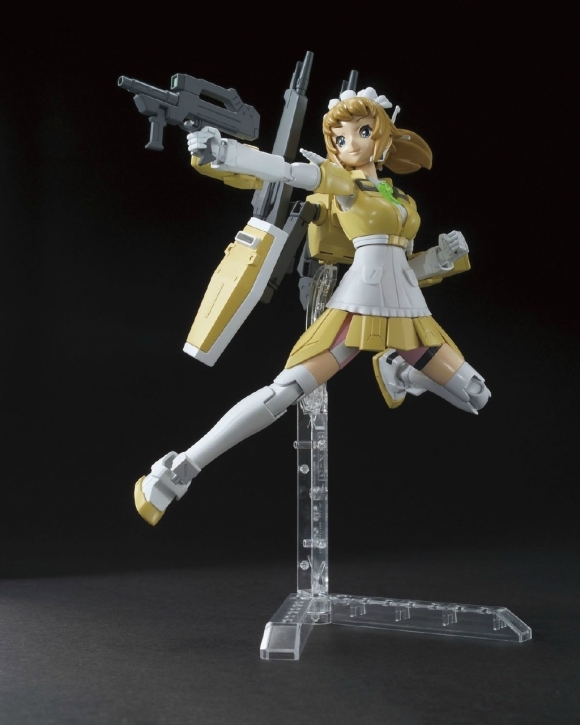 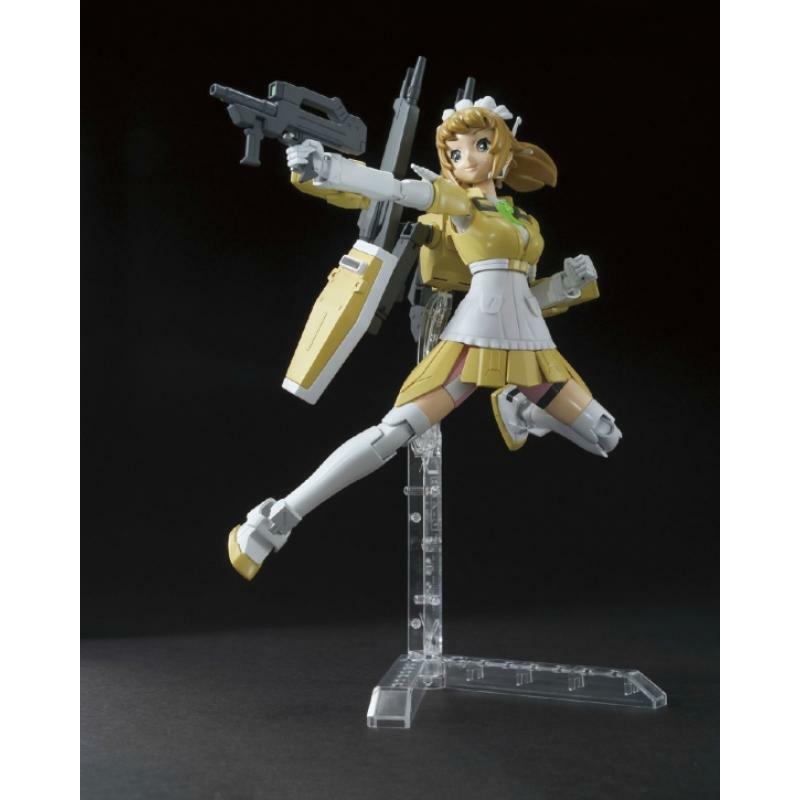 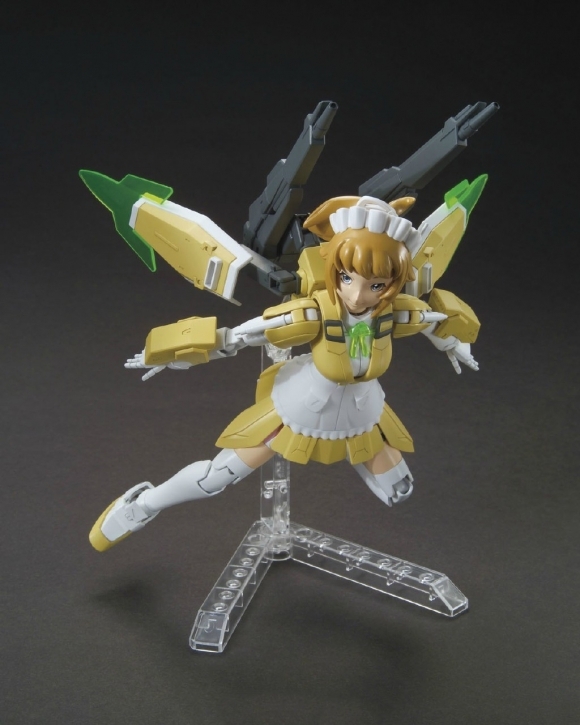 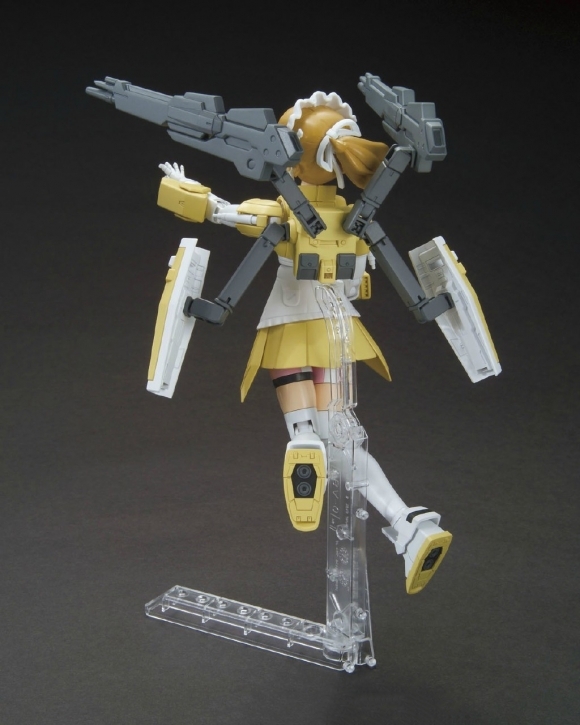 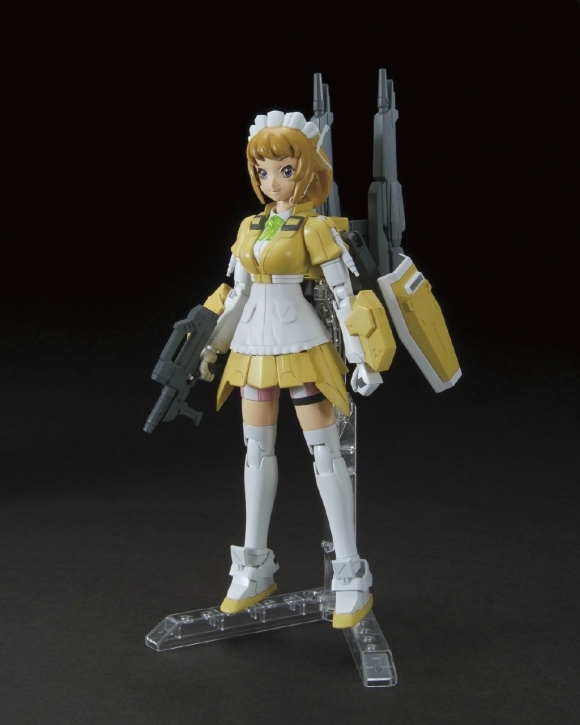 Appearing at the end of Gundam Build Fighters Try, master builder Minato Sakai creates this model figure of rival builder Fumina Hoshino without her permission causing much hilarity. 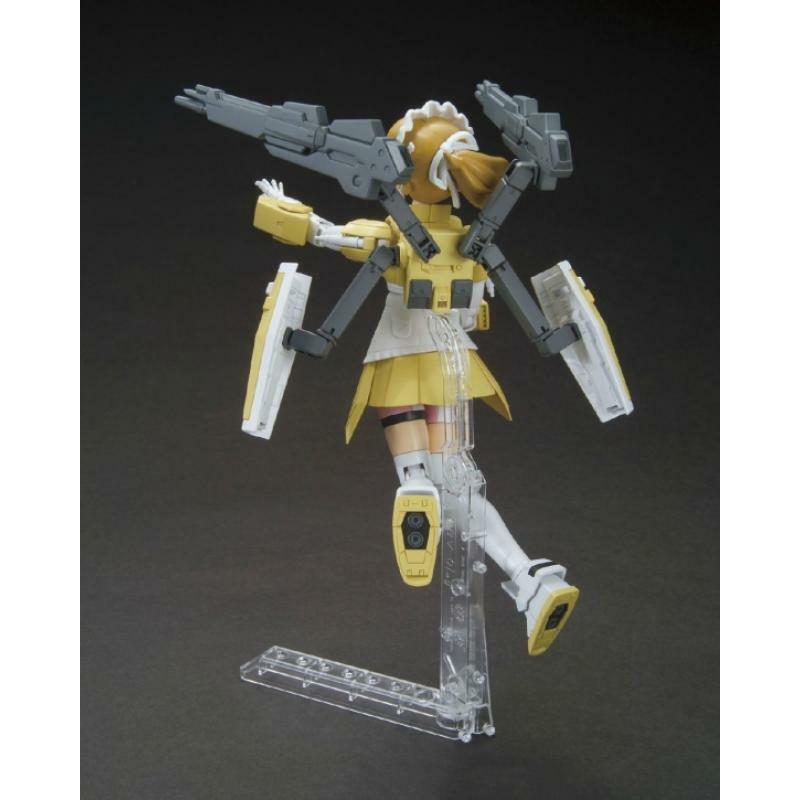 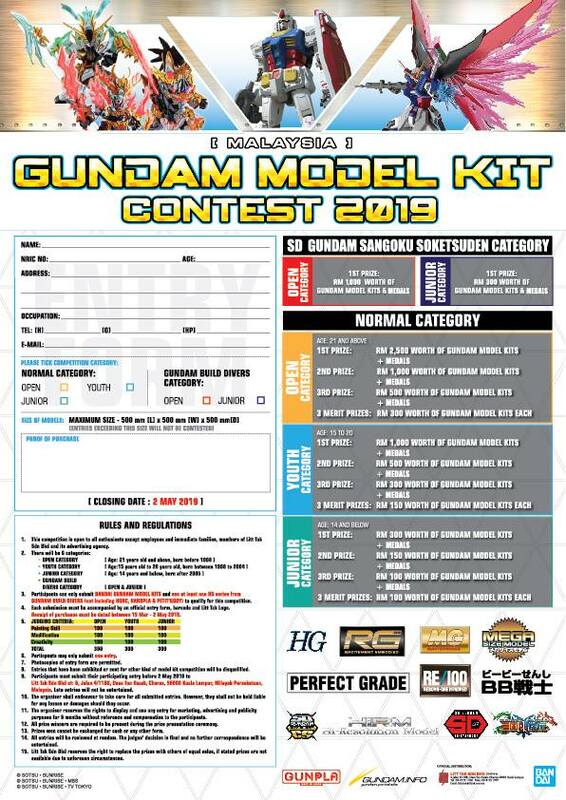 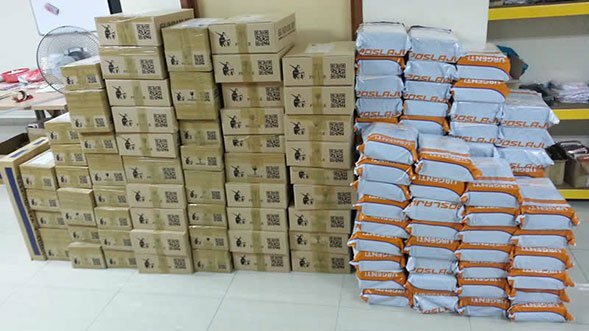 Parts include a mixture of soft material and normal plastic to recreate pliable feel of clothing while still maintaining the construction found in a normal GunPla. 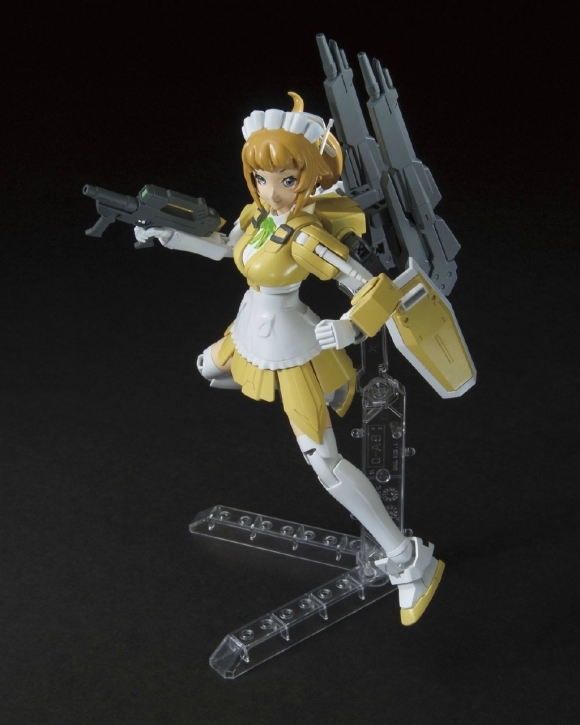 Super Fumina's pupils have been recreated with foil stickers layered by transparent lenses. 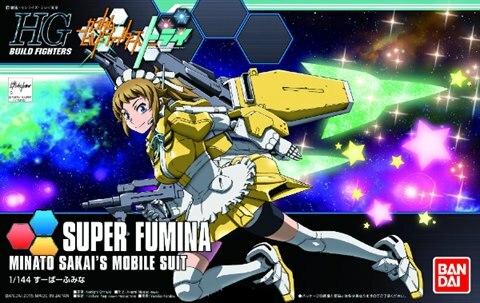 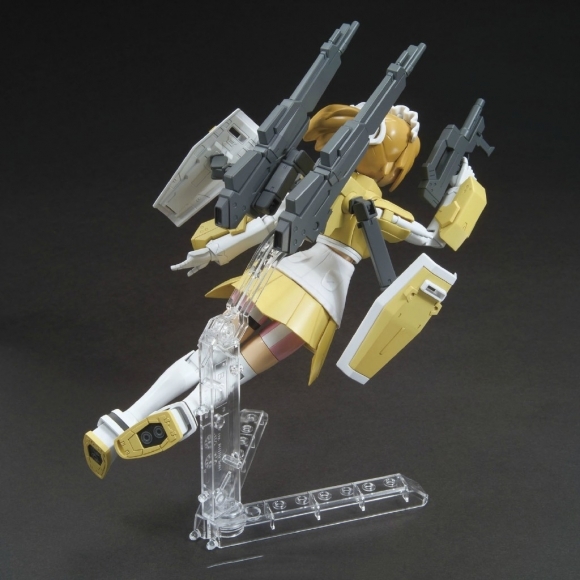 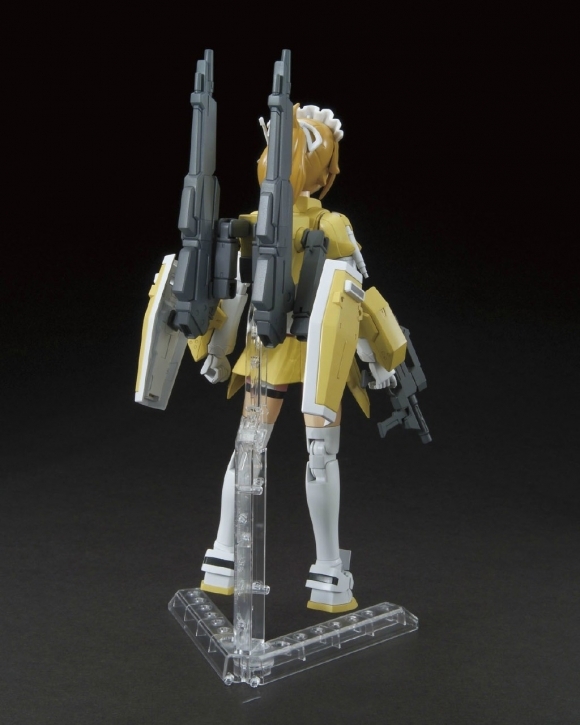 Based on Fumina's earlier GunPla, the GM Cardigan, Super Fumina is equipped with beam rifle, 2 beam cannons, and shield with beam sabers. 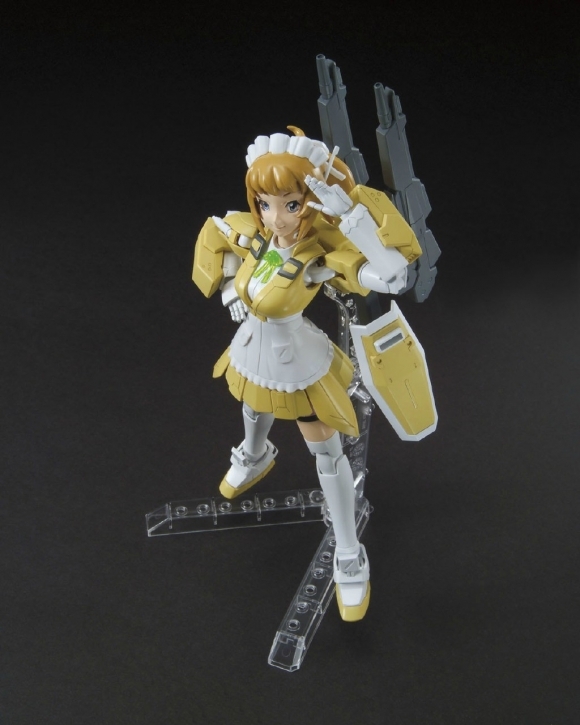 Includes interchangeable hands and also a stand for display.